More than 300 years ago, adventurous French explorers were plying the Mississippi River and claiming territory west of it for France. At the time, a prominent red stick, stained with the blood of game, was posted on a bluff above the east bank of the river to mark the boundary between the hunting grounds of two local Native American tribes. Explorers began to refer to the spot as Baton Rouge (red stick). 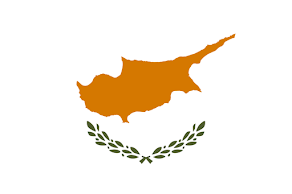 Eventually a settlement grew up there, and today the city still bears that name. This morning we drove the 50 miles from Lafayette to Baton Rouge and tried to turn our letterboxing luck around from yesterday's dismal count. Louisiana's capital city was much kinder to us, as we found nine of the 12 boxes we searched for, including two that were more than 10 years old. Since the last box on our list was near the Louisiana State Capitol, we decided to grab some exterior shots of the building. Our capitol-visiting experience has taught us the value of seeing and photographing the outside on weekends when the statehouse is not surrounded by vehicles. As we were getting some uncluttered shots, we noticed visitors entering and exiting the building and were delighted to discover that the state capitol is open to visitors on Sunday afternoons. Parking was easy in a free lot about 150 feet from the grand entrance steps, and the typical security screening—walk-through metal detector and bag x-ray—was friendly and efficient. 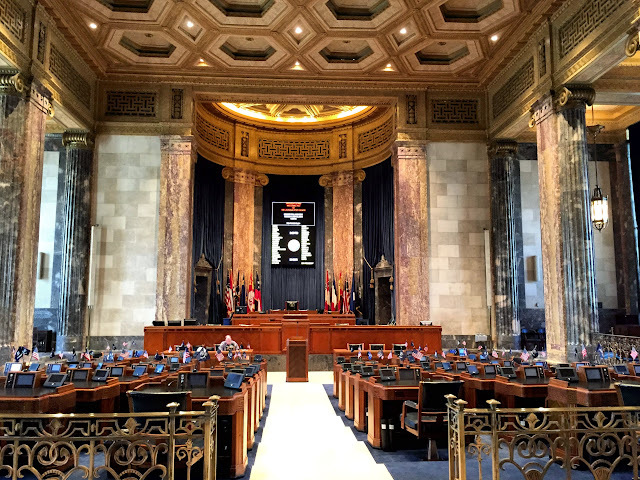 The current Louisiana Capitol started as the dream of one man—the controversial and flamboyant Huey P. Long, an outspoken populist who served as governor from 1928 to 1932. Proposals to build a new statehouse to replace the castellated 1849 structure had been floated since the early 1920s, but had languished in the legislature unheeded. After he was elected, Long made a new capitol building one of his priorities, hiring an architectural firm with an executive order and approving the design himself. 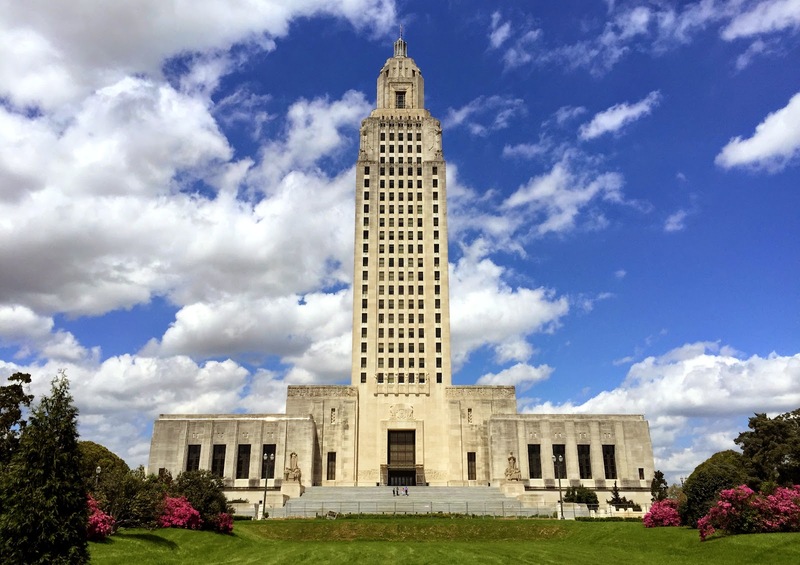 Inspired by the Art Deco skyscraper statehouse that was under construction in Nebraska when he began his pet project, Long insisted that architects make the building a tower and infuse it with symbolism reflecting Louisiana and its history. As was his style, Governor Long used his forceful persuasive powers to convince the legislature and the Louisiana populace that building a $5 million building at the height of the Great Depression was not just possible, but desirable. 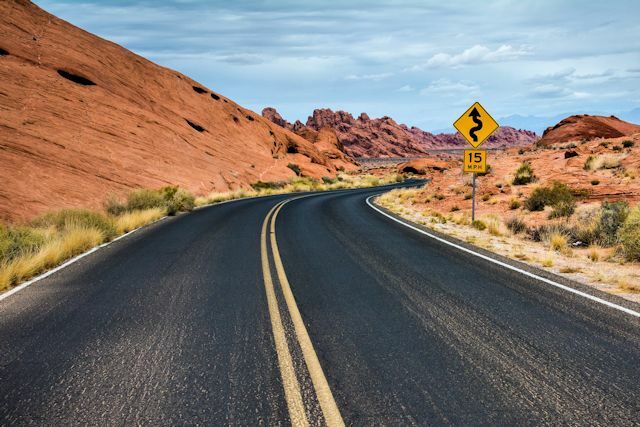 While others suggested it might be a risky venture, the governor forged ahead. This would be the people's capitol, he declared, and he wasn't willing to wait indefinitely for its construction. 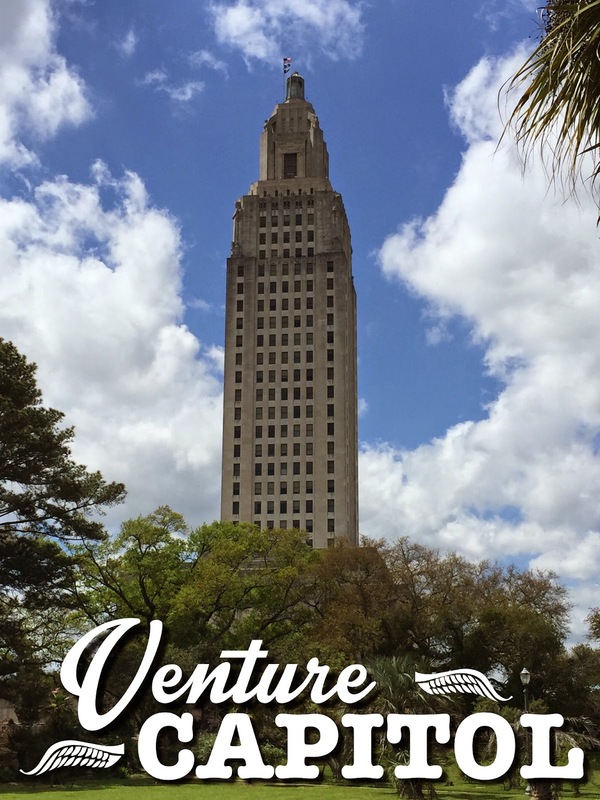 Thanks to active urging and prodding by Huey P. Long, the Louisiana State Capitol was built in just 14 months on a prominent downtown site which had formerly housed the LSU campus. Just as Mr. Long envisioned, this building is distinctly Louisianan. 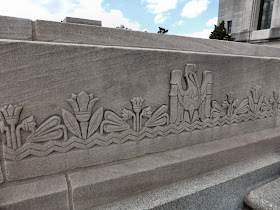 Though dozens of kinds of stone from locations around the world were used in the construction, every decorative motif references the history or natural history of this unique state. Sculptures and reliefs include pelicans, turtles, swamp waters and magnolias. Unlike numerous capitol buildings we have seen which could easily be transplanted to any other state fittingly, this one is a unique reflection of its state. Upon entering, we stepped into the striking Memorial Hall, which serves the same ceremonial and magisterial role as the rotunda in most statehouses. With a ceiling four stories high, the magnificent room is flanked on either end by the legislative chambers, whose double bronze doors feature scenes from Louisiana history, as does the frieze around the top of the walls. 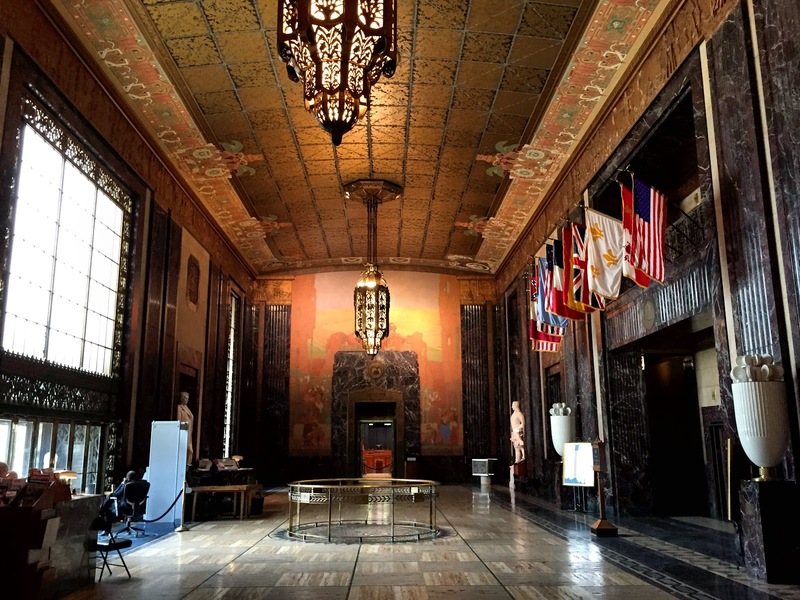 Flags of the ten governments that have controlled Louisiana over the past 300 years hang above two priceless porcelain and gold vases, gifted to the state by France. 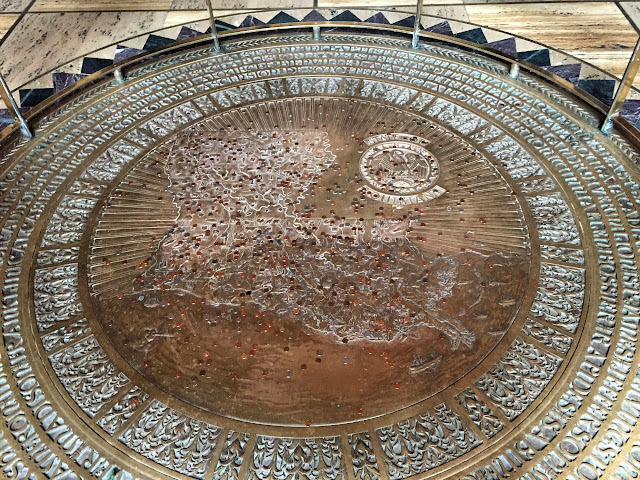 In the hall's center is a bronze relief map of the state with depictions of natural products. Names of each of the state's 64 parishes (counties) surround the map, which was littered with coins—donations to the state treasury, we presume. Like the Memorial Hall, the House chamber is ornately decorated with bronze, various kinds of stone, and rich woods. 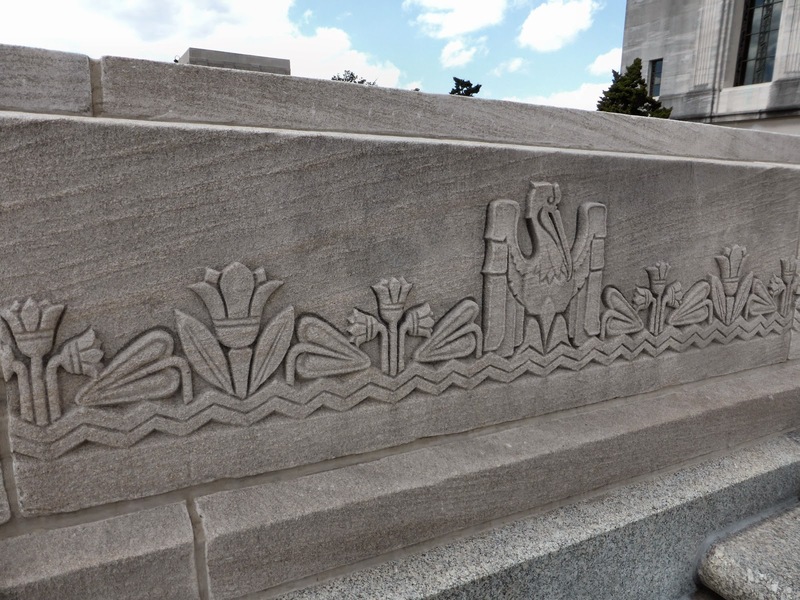 A plaster frieze depicts plants and animals found in a Louisiana swamp, and other state symbols, such as pine cones and cattails, are featured prominently. As we see so often, the decor of Senate chamber was considerably more opulent than that of the House. Its elaborate marble columns and coffered ceiling are reminders that this is the "upper house" of the legislature. 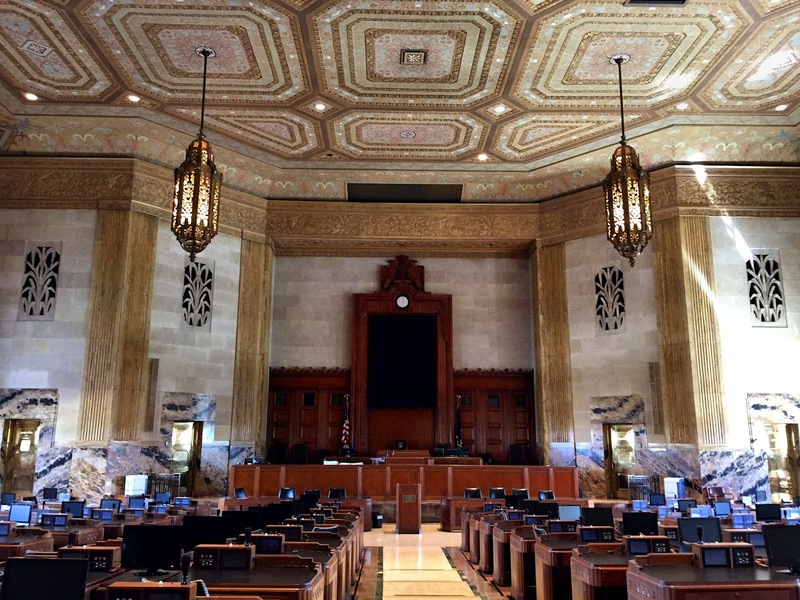 In both chambers, the Celotex ceiling is made of bagasse, a byproduct of sugar cane processing, one of Louisiana's primary crops. Sixty-four hexagons in the Senate ceiling reflect the number of the state's parishes. South gardens in front of the Capitol. 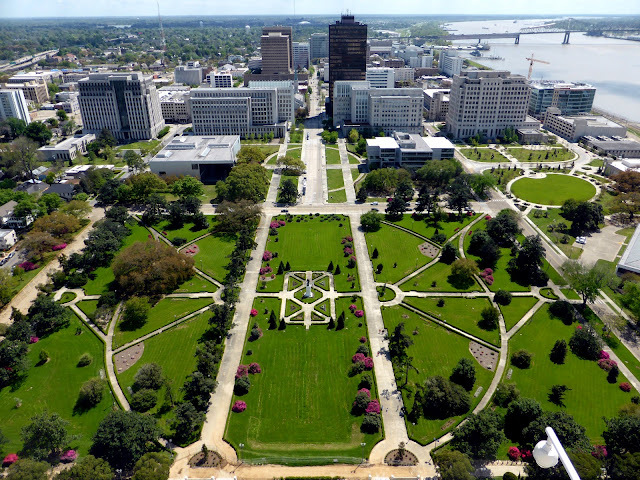 On the 27th floor, an observation deck offers spectacular views of the gardens, the river, and downtown Baton Rouge. 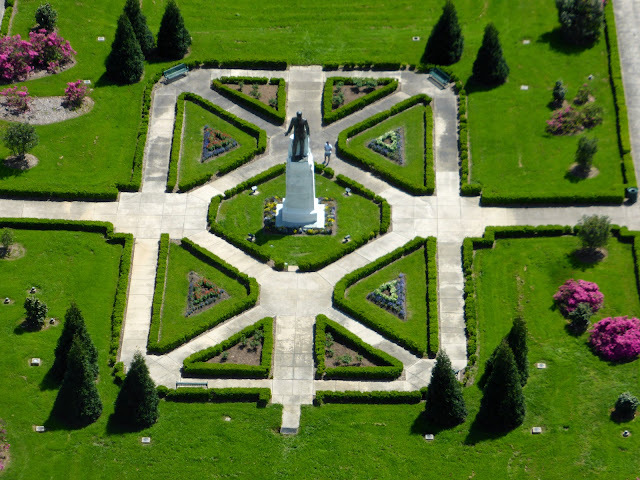 The formal south garden stretches between the front of the capitol and the city. After Huey P. Long, then a member of the U.S. Senate, was assassinated in the state capitol in 1935, his remains were buried in the center of this formal garden. Later a 30-foot monument with a 12-foot statue of the governor looking toward the statehouse was erected at the site. Of the 23 state capitols we have visited, Louisiana's ranks near the top of our list, for both its architectural distinction and its state-specific design. Art Deco features decorate the exterior all the way up the tower, many of which are all but impossible to appreciate without binoculars (or a hot air balloon ride). 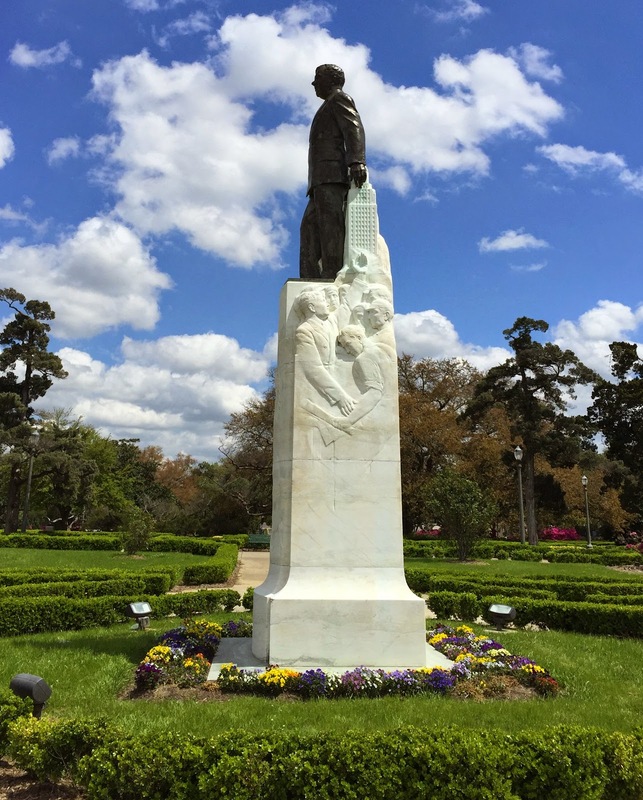 Huey P. Long had a legion of detractors and an army of supporters. 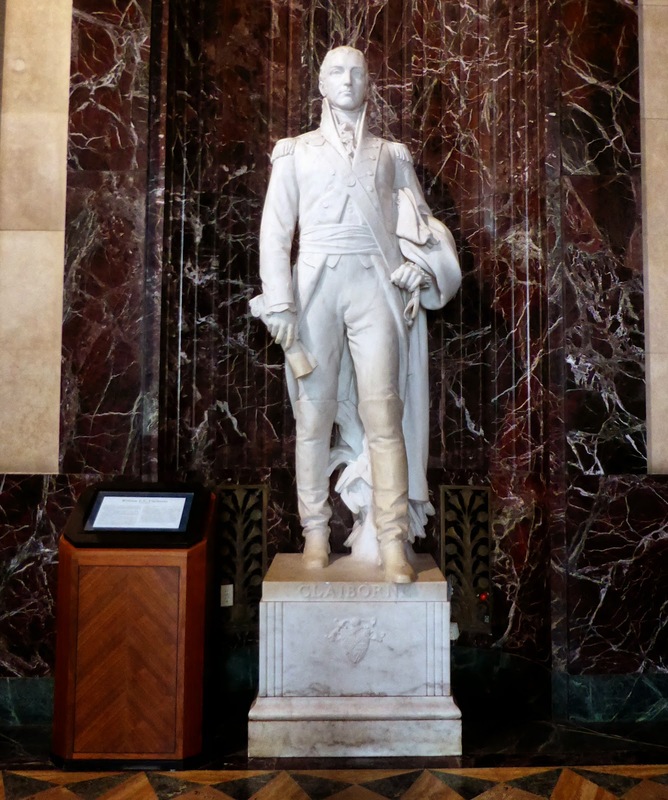 Without weighing in on the arguments about whether he was a hero of the common man or a dictator, let us just say, on the Louisiana statehouse, he did very well. 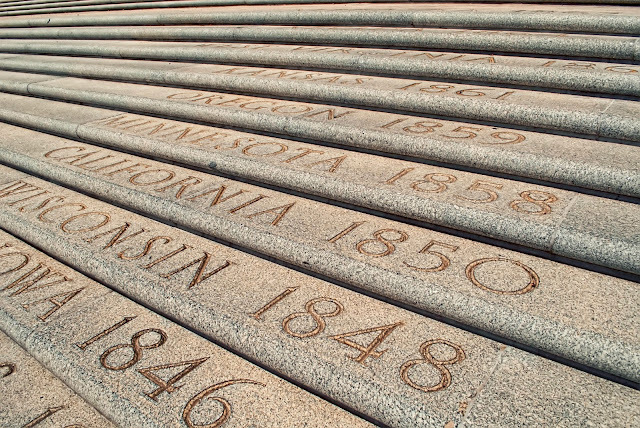 Height: 450 feet (34 stories) tallest state capitol in U.S. Pioneers sculpture near entrance pays tribute to pioneers who settled the state. 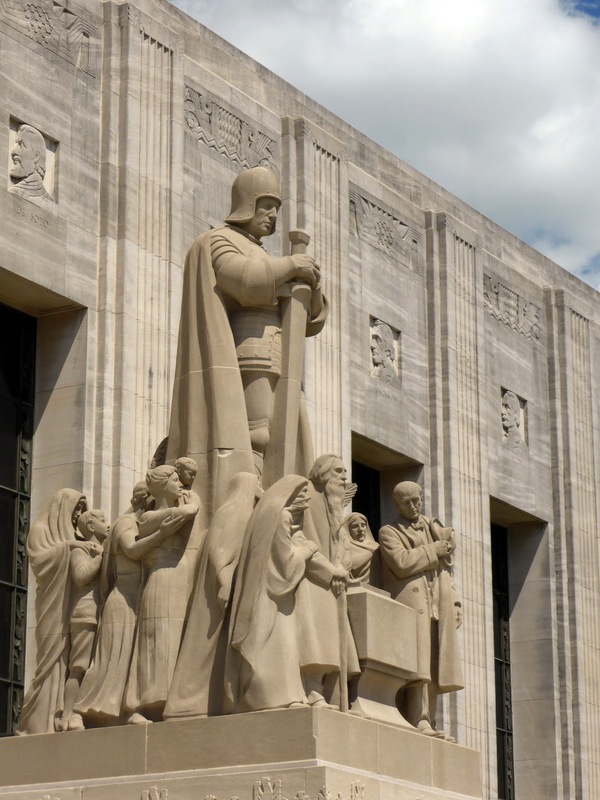 Twice-life size marble sculptures of prominent Louisiana figures, like first Governor Claiborne adorn Memorial Hall. 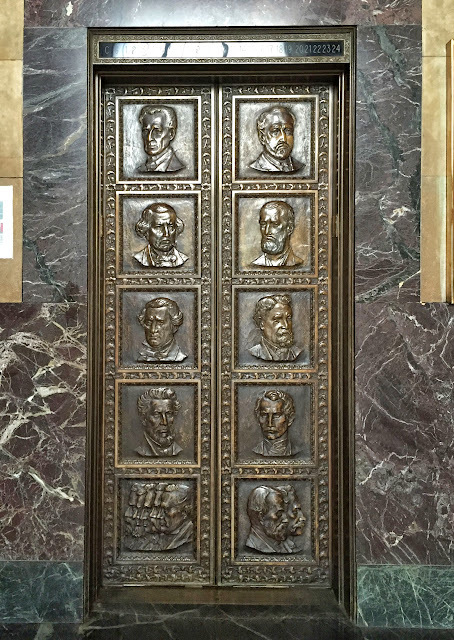 Louisiana governors are memorialized in bronze on elevator doors. A 30-foot monument to Huey P. Long faces "his" capitol and marks the site of his grave. 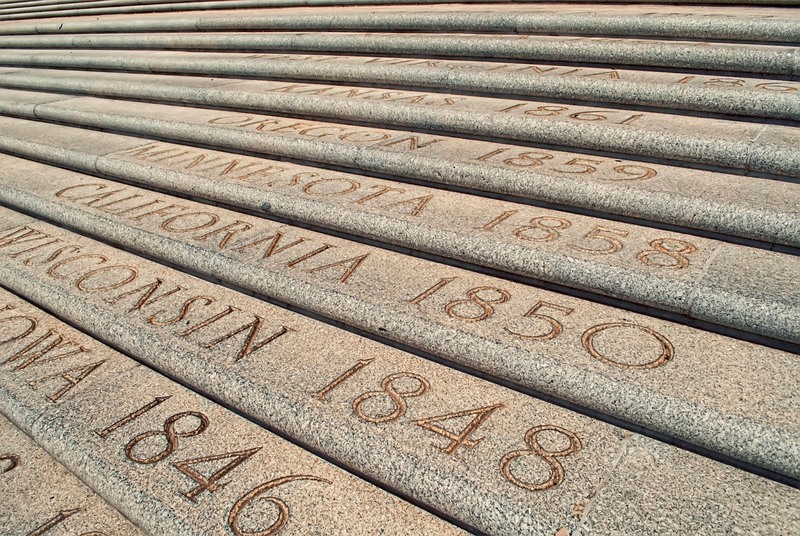 Entrance steps feature the names of all the states in order of their admission to the union.